This week's theme is to pick something from the blog after ours (the amazingly talented Holly!) and case a page. Thanks for being so patient today on my post! I had a "sick" Nathan today who has been rather demanding of my time, so I gave it to him today. And what a fun day it was!!! Guess what!?!? Just saw that the CLEARANCE RACK has been updated with LOTS of good stuff! I will be putting in an order on Saturday if you "need" anything, paper, envelopes, ribbon and more for HUGELY discounted prices! WHOO HOOOO!!!! OK, sorry, back to my page. I find Holly to be very talented with showcasing large photos on her page. Part of this is that she is an amazing photographer so of course she needs to showcase her beautiful pictures! The other of course is she's an amazing scrapbooker:) So this is my take on one of her pages (yes, yet another football page:) HOpe you like it! Happy Friday to you! I hope that you've been having a GREAT week! It's been a fun and busy one around here. I've got lots of fun stuff to share with you today! 1. Don't forget, tomorrow is Barb's retired stamp sale at my house from 9 am to noon! It'll be so much fun and if you've been at one of my sales before, you know there will be a line at 9 am:) If you're in the London area and you'd like to get a great deal on stamps this is the sale for you! She has a TON of Stampin' Up! supplies that she is parting with as she will no longer be a demonstrator. Email me for details if you're interested in coming or details on how it works. 2. GUESS WHAT!?!? It's that time again....another ONLINE CLASS coming your way! Here are the details......20 projects, 20 days, $20! This class is for EVERYONE! If you're a Stampin' Up! demonstrator or simply a lover of paper crafts this is for YOU! There will be 10 major projects that could each be used as a class and then 10 wow projects that have a great "WOW factor" for a club or a workshop! The difference with this class compared to my past classes, is that I will discuss how I organize my class, prep and teach my classes. I hope you're excited about this! Some of the projects will include....how to teach fabric classes without sewing, Sweet Scoops, Teacher Gifts, Moveable Scrapbook, Punched Creations and SO MUCH MORE!!! I hope you can come join the fun! The class will begin on May 24. I will send out an invitation to all that sign up for this class on the eve of May 24. You then login to the class and I will accept you. I will post a project each day for 20 days. Every project will have a PDF you can save and print off and also a video! The class will be open for a minimum of two months (hopefully longer, although NING is changing up their system starting in July...but I don't think it will affect my classes). Are you getting excited? I am!!! 2. Pay $20 using the Pay Pal link below. 3. If you're Canadian and you place a $25 online order with me between today and May 24, you will receive the class for free as a thank you! Wanna know ONE MORE EXCITING THING? For everyone that registers for the class, you'll be entered into a draw. On the first day of the class, there will be a winner announced that will get this bag shipped to them! How fun is that? I hope you can join the fun of this class! Thanks for sharing in my excitement today! I hope you have a wonderful day! I am so excited to offer this super fun class as either a kit (if you can't make it) or a class! It will be so much fun! Not only will you receive all the supplies to make this book, you'll also get supplies for 8 cards and the instructions for this book. You may be asking, what's the book for? Well, you can use it to store all your cards for the upcoming year. You can write all your birthdays and anniversarys on the calendar for years to come! Hope you can join the fun. Please email me if you'd like to attend the class or purchase a kit! (adamsum@yahoo.com) Thanks so much! New Friends! New Class! New Planner! One of the highlights of Convention for me was meeting so many NEW and wonderful ladies! I was so excited to meet so many of you and appreciate the time you took to chat with me and share some stories, thank you so much! I will be posting some photos soon (I have to get them from my laptop to desktop....sounds so easy BUT, sometimes I struggle with the simplest of tasks:) In the meantime I wanted to introduce you to one of our dearest friends we met while waiting in the Momento Mall lineup on Day 1! Her name is Leela! She is from Salt Lake City and is just the sweetest thing! We "adopted" her (actually she put up with us!) for the week and spent lots of quality time with her. Now, I do have a real photo of her (on my laptop) so you'll "meet" her in the next few days but in the meantime I've decided to name my new monthly blog contributor, Leela! My new Stampin' Up! Build-a-Bear is Leela! Each month we will post some new projects either by or for her:) Can't wait to share!!!!! Thanks again Leela for the friendship and memories...can't wait until next year! Onto today's creation! My next class.....Happy Together! What? 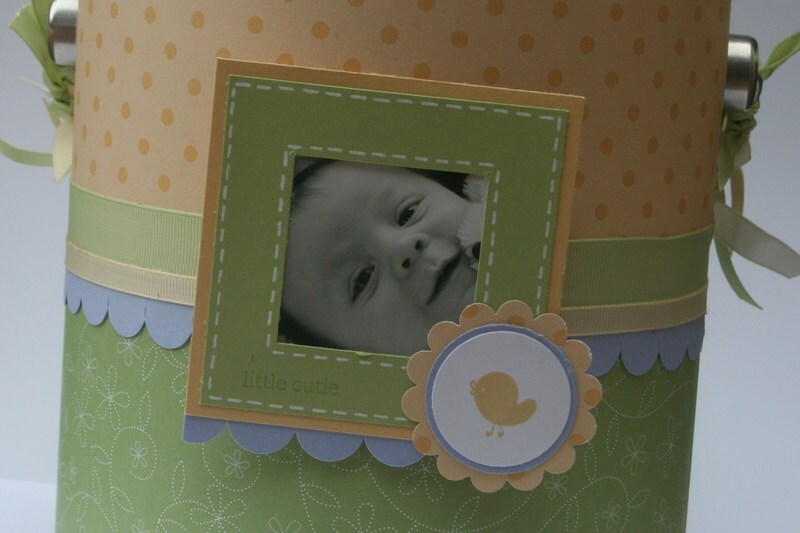 : We will be making 5 cards (as shown in this sneak peek) AND a super cute bird house box! You will also receive the PDF for this class planner so you can recreate all the cards, have the photos and the dimensions! Please email me at adamsum@yahoo.com if you are interested in attending this class. Hope your week is off to a GREAT start!!! Take care. I LOVE punches!!!! AND a punch special!!!! Thank you so much to all of you that have responded so kindly to my online punch class! We are off to a great start and having so much fun! Thank you! It's not too late to sign up for this class if you are interested. The photo for today is a bit of a tease, I know, I'm sorry! It shows just snipits of some of the projects already up on the Simply Punches online class. For this class you get 20 PDFs (text tiles with instructions and photos), a video for each project, dimensions/ideas, access to the photo gallery of the VERY talented members if this class and so much more! Wanna know what people are saying about the class??? So, in honour of my online punch class I thought I'd do a sale! Now, the thing is you have to be Canadian! I'm so sorry, but as a Canadian Demo I can't sell product outside of the borders. 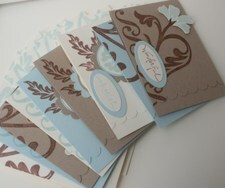 So all you Canadians, get ready because these will be delivered to you directly from Stampin' Up!!!! Option #1 - buy 3 punches of your choice ($19.95), receive a sale-a-bration set of your choice AND a free pass to Simply Punches online class! Who doesn't LOVE making handmade gifts? 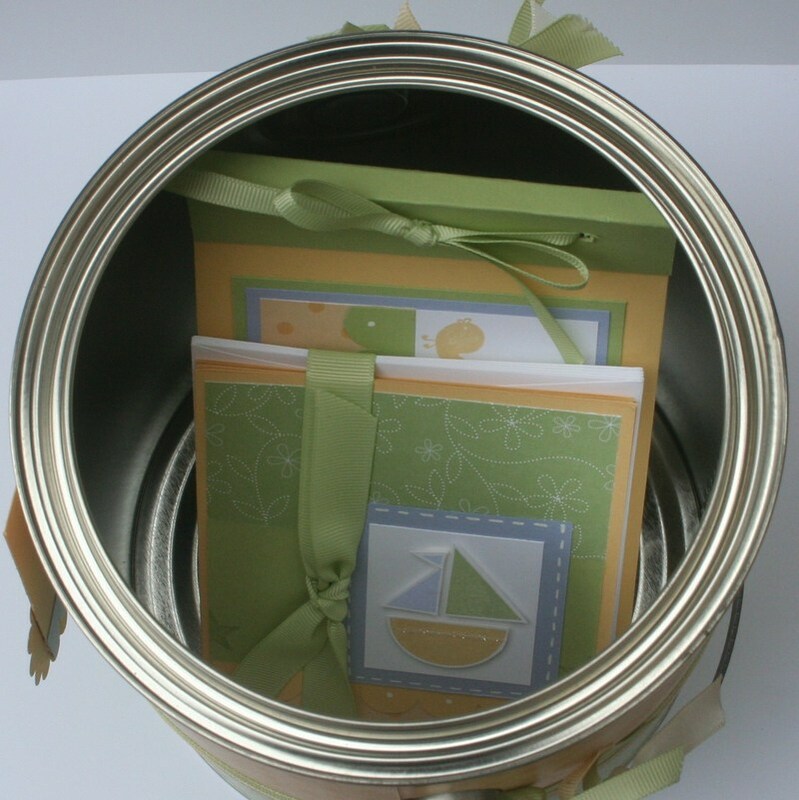 This project would be perfect for a close friend, a wedding shower or simply a "just because" for someone that likes to write little messages. This cute little purse converts into a stationary holder which includes 9 envelopes, 9 cards and the choice of which greeting to apply to each card! What co mes with this class planner? 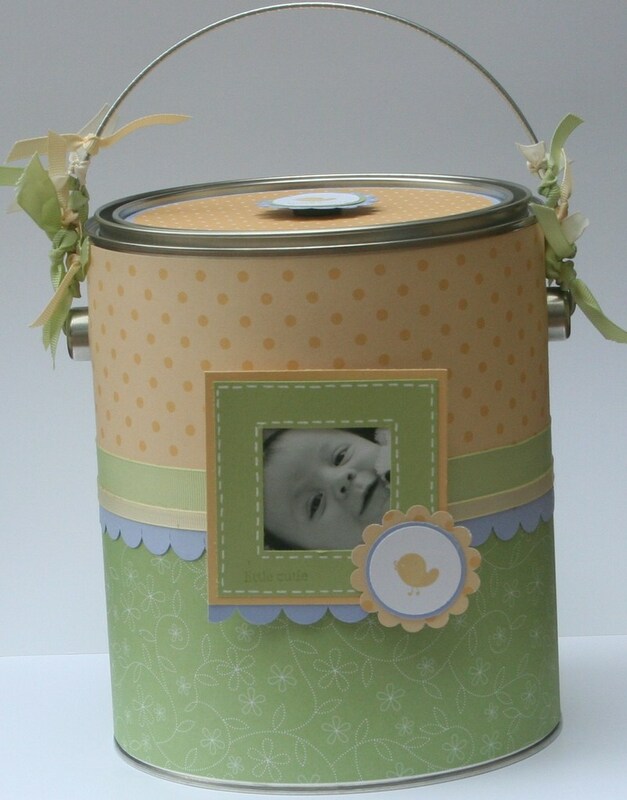 Over 50 step by step photos on how to create this great gift idea which is perfect for anyone! 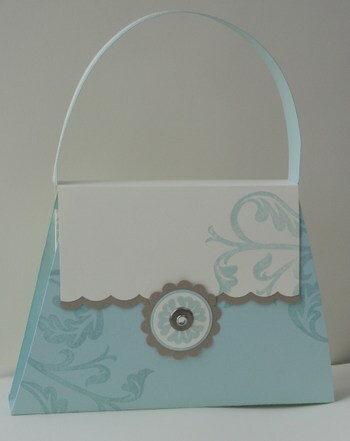 Included in the instructions are the steps to create the purse, 9 scalloped cards and the greeting embellishments. The class planner includes suggestions for class organization, step-by-step pictures to complete the entire project(only takes one two hour class! ), a complete supply list with SU codes and a class handout! SO, the work has been done for you! All you need to do is make a sample, advertise your class and have a fun girls night creating! This project would also be fantastic with Baroque Motifs or Priceless! 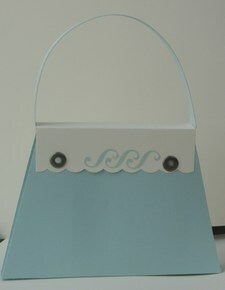 This is a side view of the purse. You can see on this side of the purse the envelopes and cards in their little storage compartment. This is the back of the purse. Was that stamp not made for scallops??? I think that certainly adds to the elegance of this project. OK, how fun is this??? This is what the inside of the package looks like!!! Do you LOVE it???? The compartment on the left holds the scalloped cards and envelopes and the compartment on the right holds the greeting embellishments! Here is the array of cards. There are three different patterns, one in each colour. The top few cards include the greeting to simply show you what the finished card looks like. 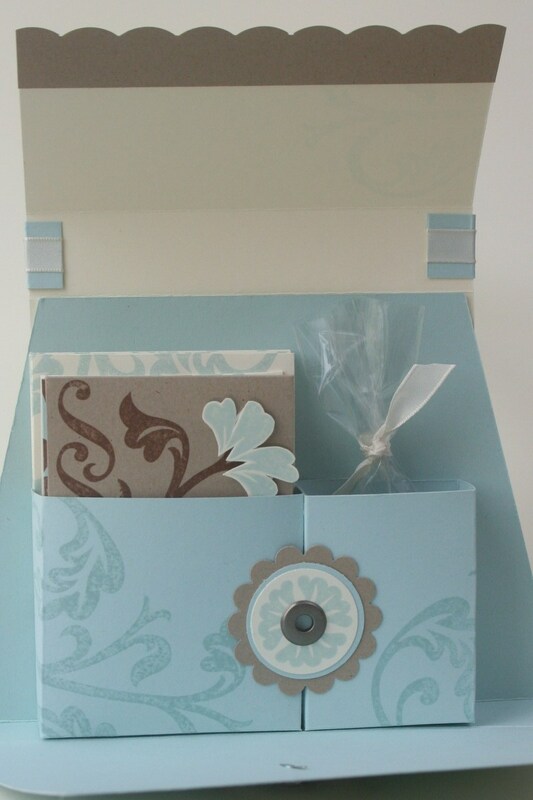 However, for the gift, I would give the cards blank so your recipient can pick their greeting of choice! Hope you like this planner! For my first 10 customers that preorder this kit you will receive an extra something in the mail from me. I appreciate your business. I will start sending out the files for this planner tomorrow(Wednesday May 7) but will start accepting preorders for it today! Thanks again!